Through our associate Robert Holmes we provide a reliable contract and one-off organ tuning service. The use of a remote controlled 'Orgamat' note holder enables finer tuning results and reduced costs enabling an excellent service at competitive rates. Many clients have been with us in excess of 20 years - a sure testament to our abilities. 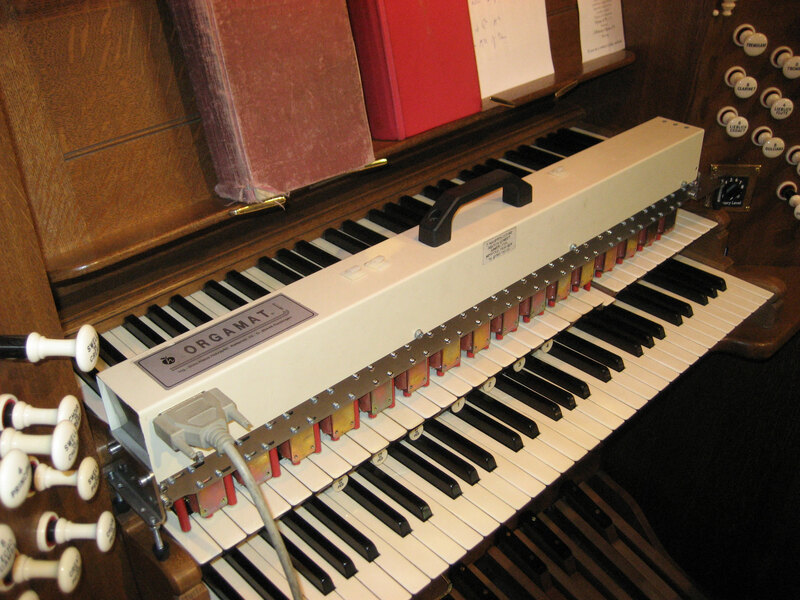 We recommend that any organ receives at least an annual visit, although most instruments of two and three manuals may need to be tuned twice a year or more to maintain acceptable tuning. Inspection is a particularly important aspect of this service; for example, even a minor water leak from a church roof can soon cause major damage costing several thousand pounds to repair, whereas if slight water staining is seen in time, disaster may be averted. If you would like to arrange a tuning visit or get a quotation for tuning a particular organ, please contact us at the email address or phone number below.